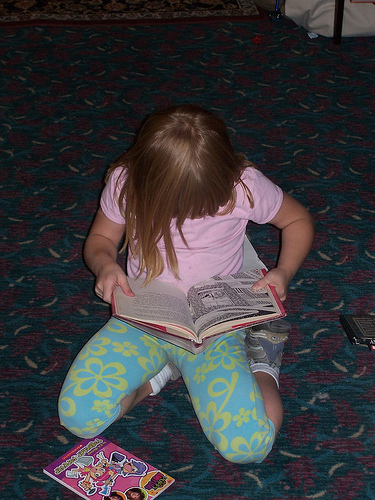 How do you get your young struggling reader (aged 7-8) to read for pleasure? 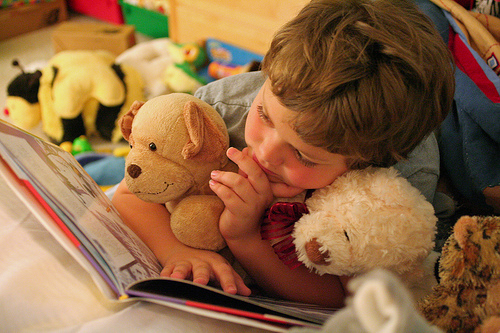 We know that the more children read for pleasure, the more quickly their reading skills will improve. What we have found is that guiding children towards easier books that are not a struggle means they can devote all their time to just enjoying the story.These aren’t the reading scheme books, they’re just story books or factual books completely separate to the reading scheme. Parents can really help with this, working on easier books with their children at home, so that they are not seen reading books that are too much easier than those their peers are reading, in order to preserve their self esteem. We are already seeing the benefits in one school where we are trying this. After just 3 weeks,these children are starting to enjoy books for pleasure.We asked one 8 year old on the programme “So, are you quite enjoying that book, then?” “No,” he said “I’m not quite enjoying it, I’m really enjoying it”.If we can engage all our readers with books for pleasure, we will be helping them enormously. These books for 7-8 year old struggling readers are published by Usborne and can be found by clicking on the link. We’ve just started a section for reluctant readers as so many people seem to have a problem getting their children off the starting blocks. Once they do get going, they often don’t need too much encouragement to read the next book. One of the best series I have found recently, that are great for getting reluctant readers going is the Jake Cake series, suitable for children aged between 8 and 10 and equally loved by both boys and girls.You can find them here. If you have older children who have not quite found their feet with reading yet, Barrington Stoke have a number of really exciting stories which are suitable for10-14 year olds but have a reading age which is much lower than the child’s chronological age.These books can be found in our “Easy to read” sections, to which we are adding new books all the time. The Diary of a Wimpy Kid series seems to have captured the interest of a lot of children recently and although suited best to children in the Year 5 and 6 age range, both younger and older readers seem to be enjoying them as well.If you want to take a look inside the book at the actual text (written in comic style format), first click on this link and then on the BUY NOW link. You are currently browsing the archives for the Reluctant readers category.